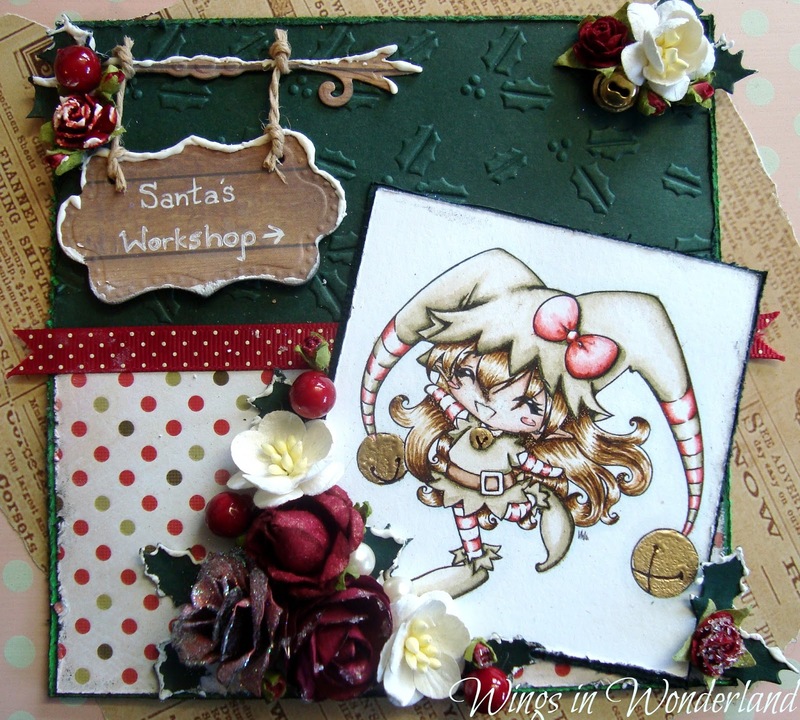 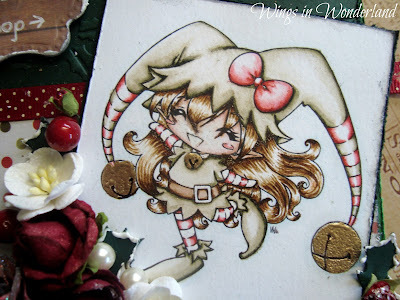 This image is from Make it Crafty and is colored with Distress inks with gold embossing powder for the bells. 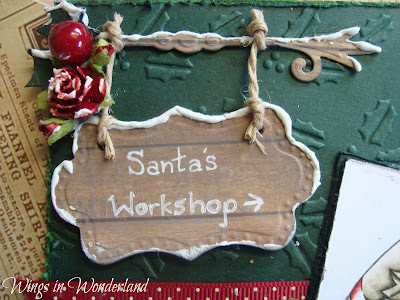 The ribbon is American Craft and I have used Spellbinders Twisted metal tags for my workshop sign. I also added a little homemade texture paste to act as snow! 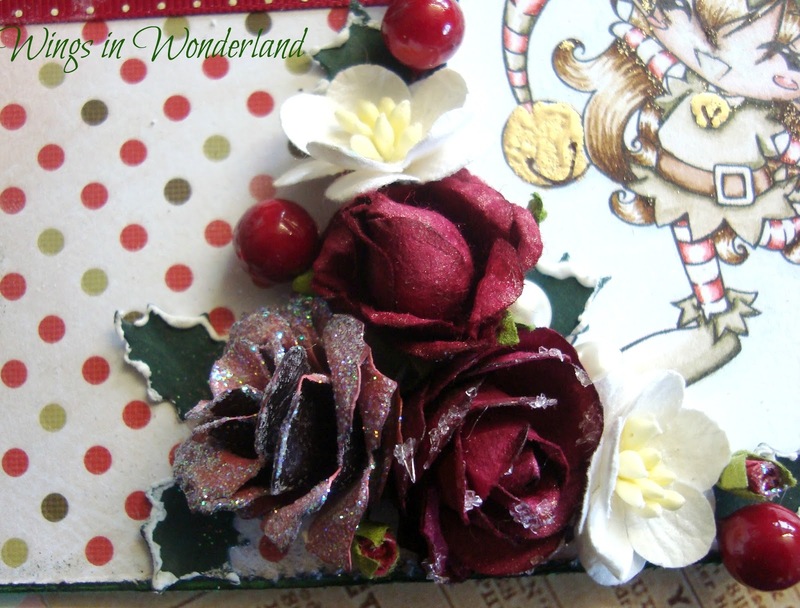 The flowers are an assortment including a rose made using the Tim Holtz tattered pinecone die which I have covered in Stickles dry fine glitter, I love the sugary look! Well that's me till next week, Have a great weekend all!